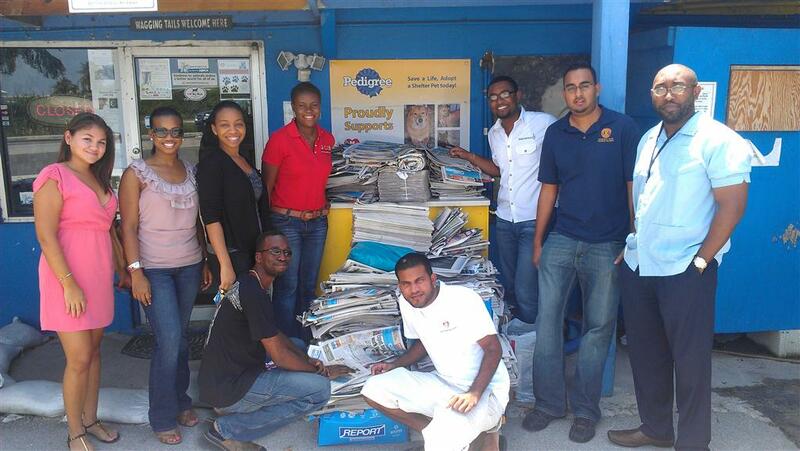 Followed by month long newspaper collection drive, Rotaract Blue was able to donate hundreds of papers to The Humane Society. The papers will be used as beddings for the animals. Caption L-R (standing): Club members Alice Ramos, Marzeta Bodden, Vanessa Williams, Jacqueline McDonald, Cedric Gidarisingh, Dannel Rahamut, Brandon Lee of Rotary Central and Tunde McDonald (kneeling at front left) are seen with Shelter Manager Jason.